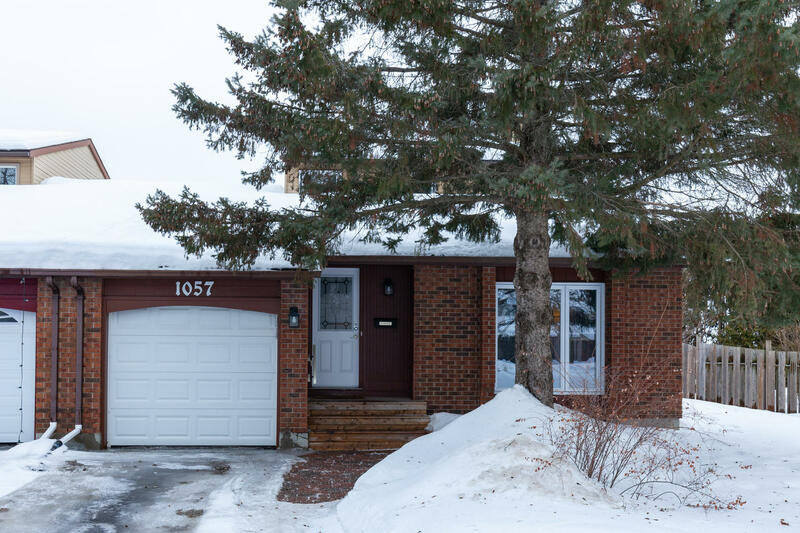 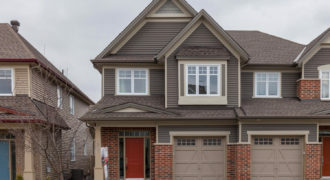 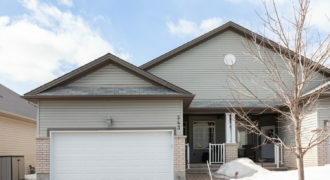 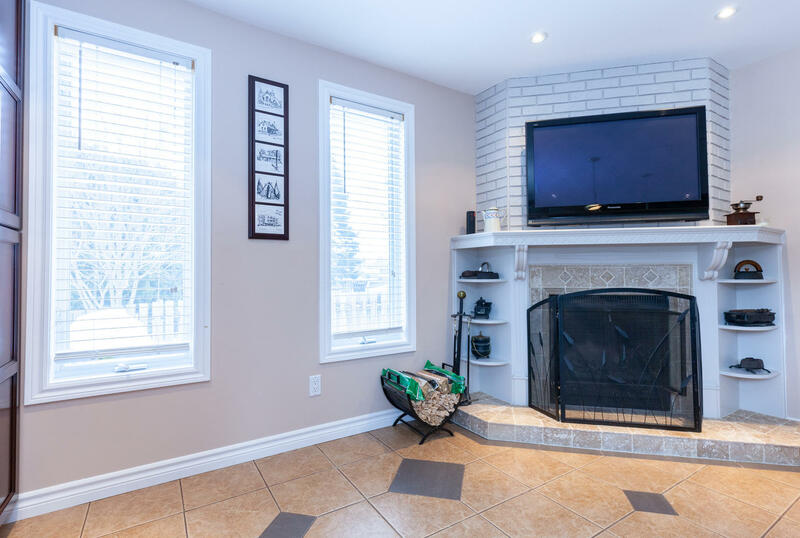 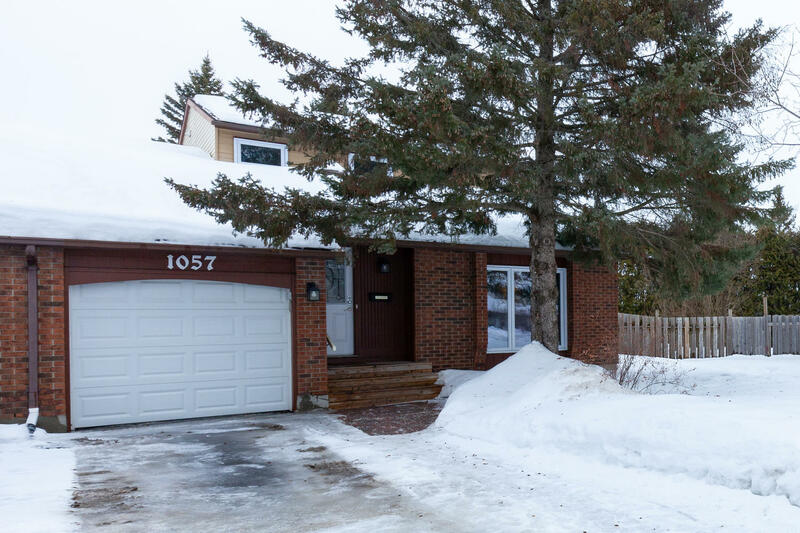 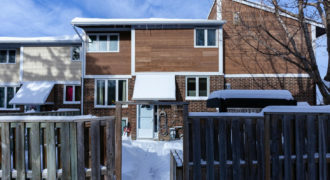 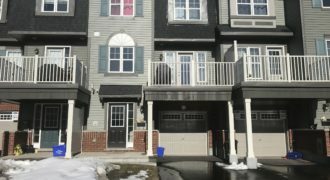 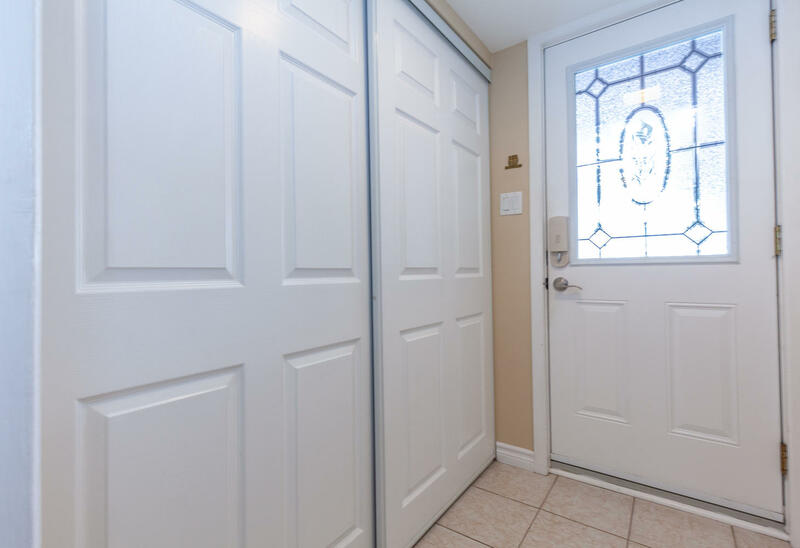 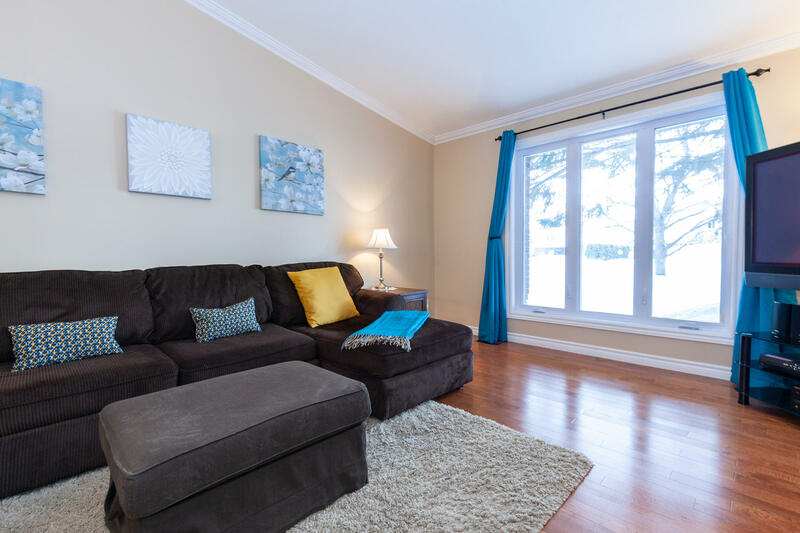 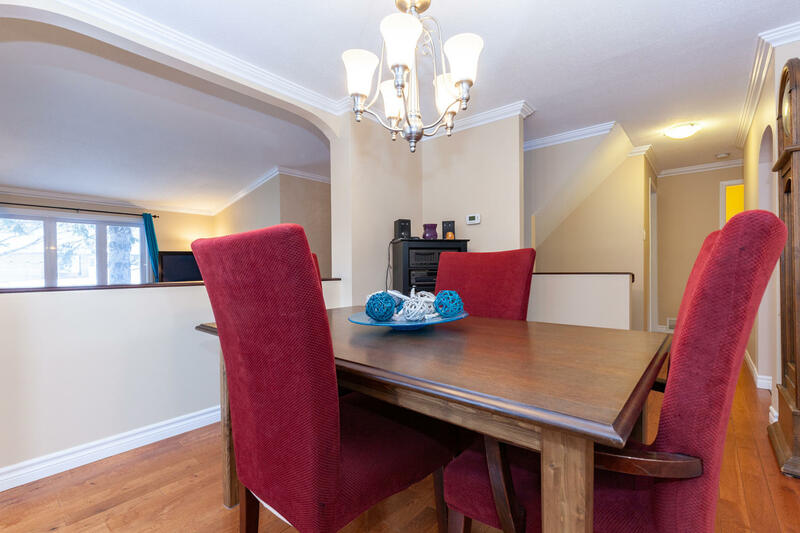 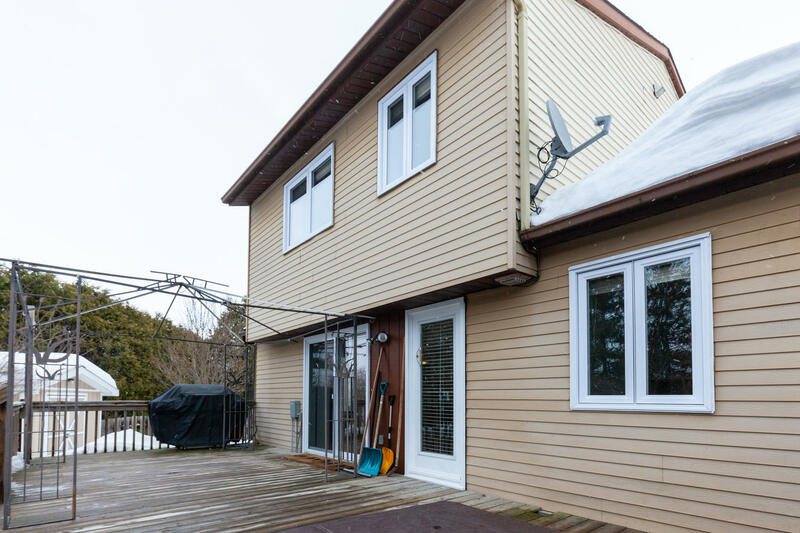 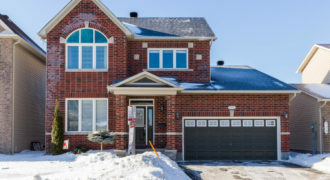 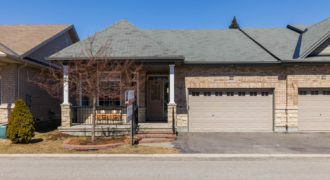 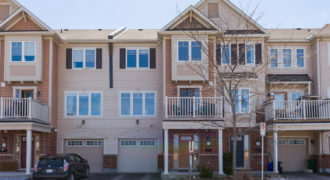 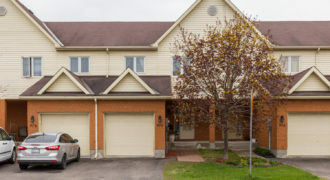 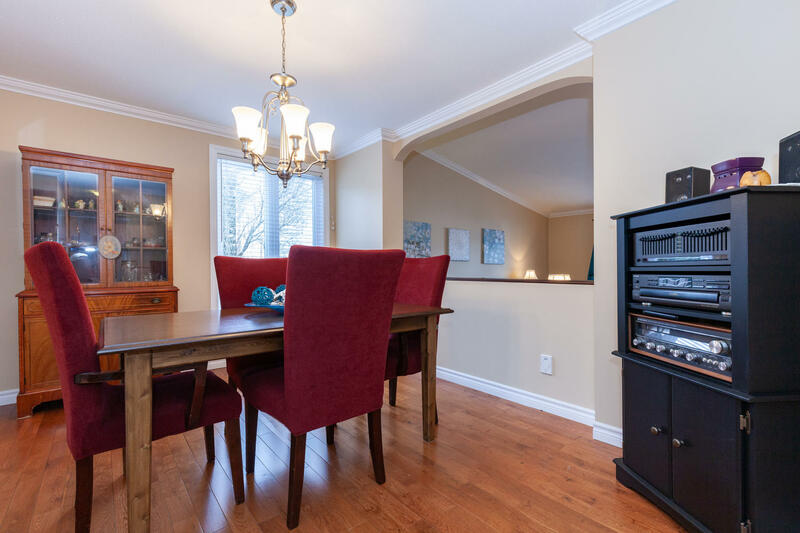 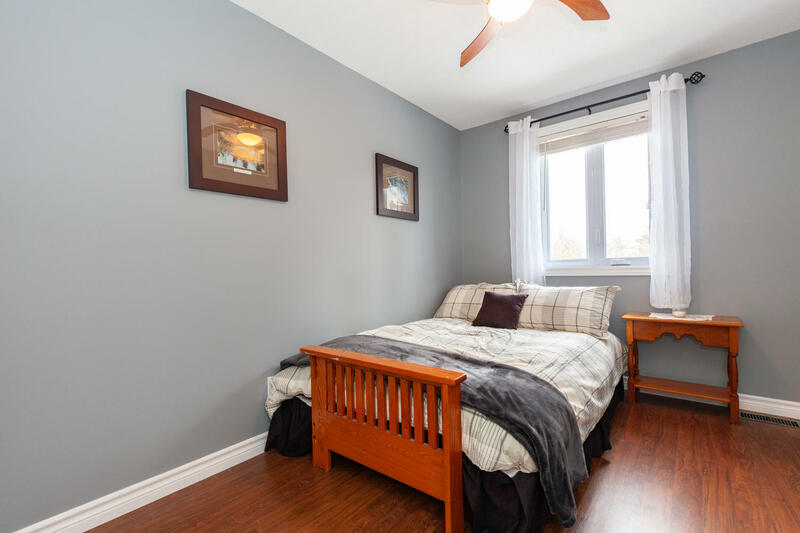 This lovely semi-detached home is located on the quiet area of Avignon Court in the Orleans Wood community. 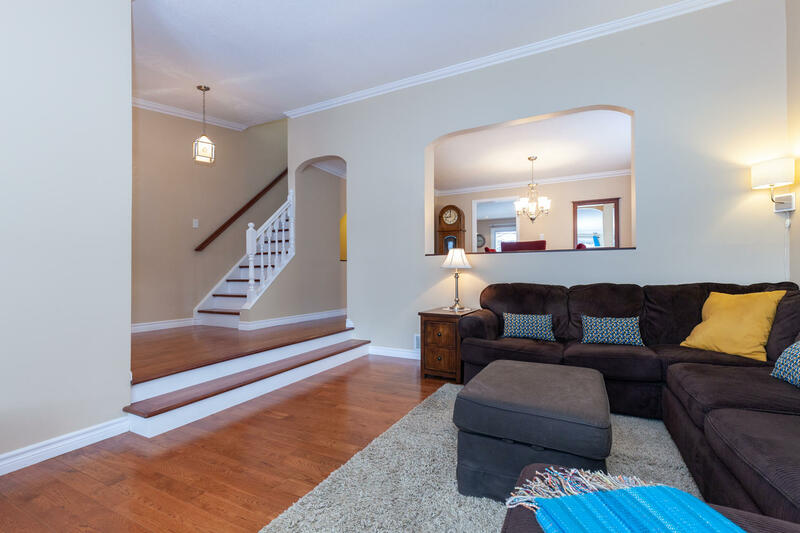 The long driveway allows for ample parking space and leads you to the welcoming front porch. 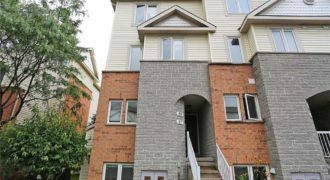 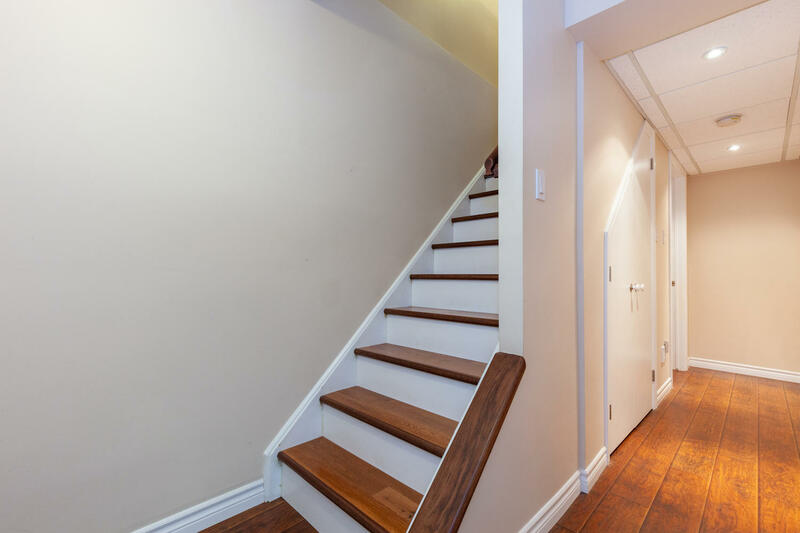 Inside you have a large foyer and will immediately notice the stunning hardwood floors, crown moulding and hardwood staircase. 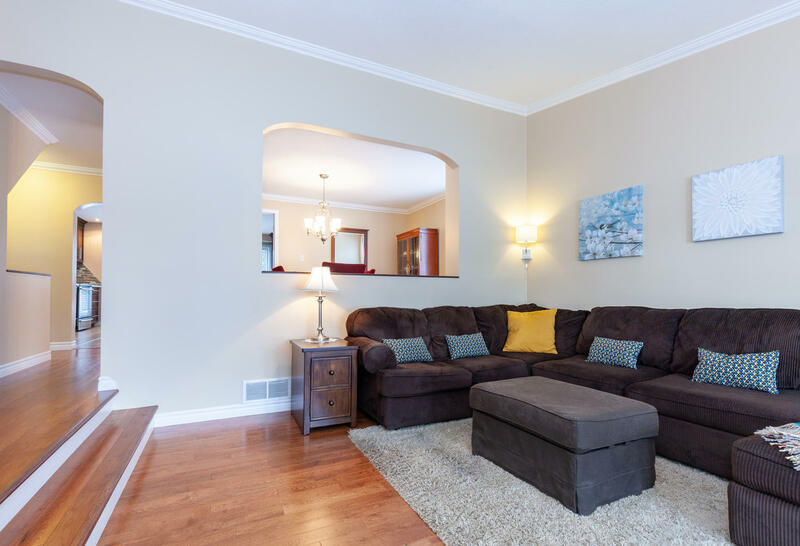 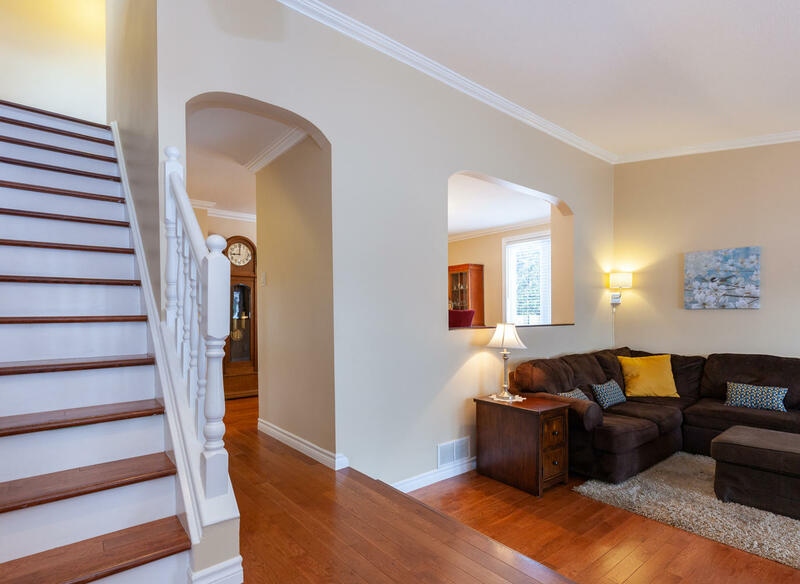 The sunken main floor living room is inviting and roomy and is accented by a beautiful sloped ceiling. 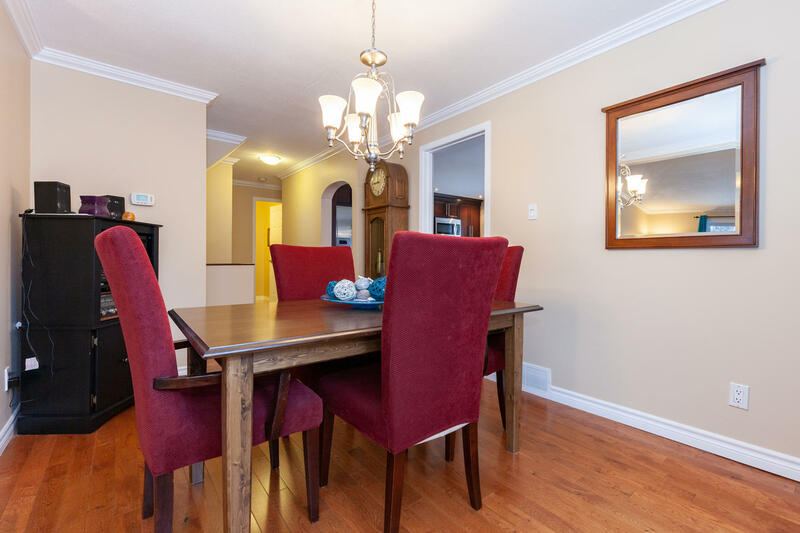 The picture window in the dining room allows plenty of natural light to flow in. 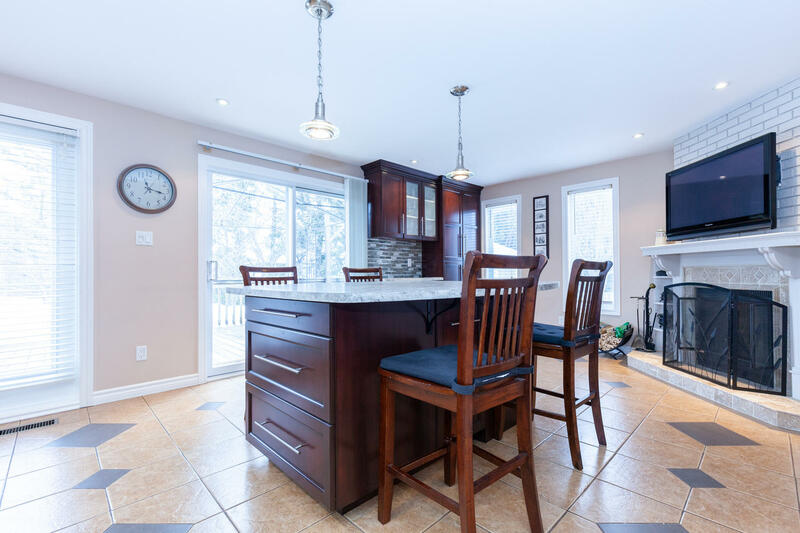 The kitchen is the real showstopper of this home with gorgeous custom cabinetry, modern hardware, oversized center island with ample seating, and stainless steel appliances that are all accented by stylish lighting and a cozy wood burning fireplace. 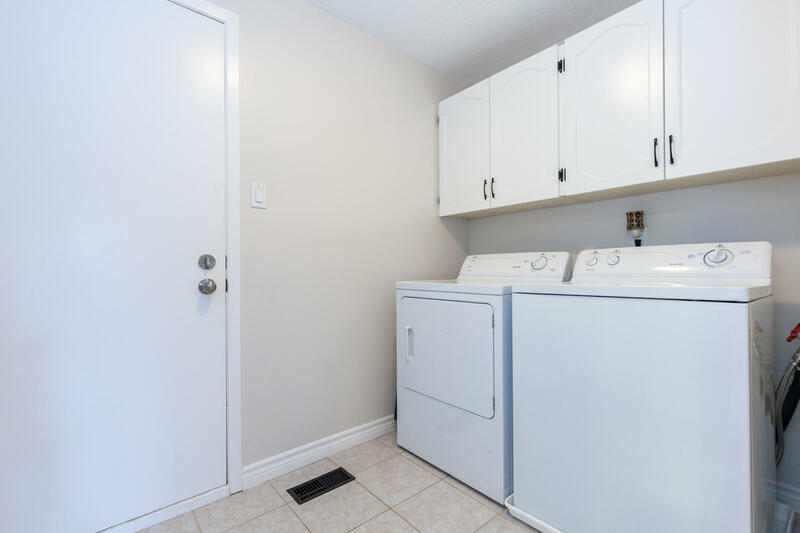 The third bedroom, main floor laundry and powder room complete the main floor. 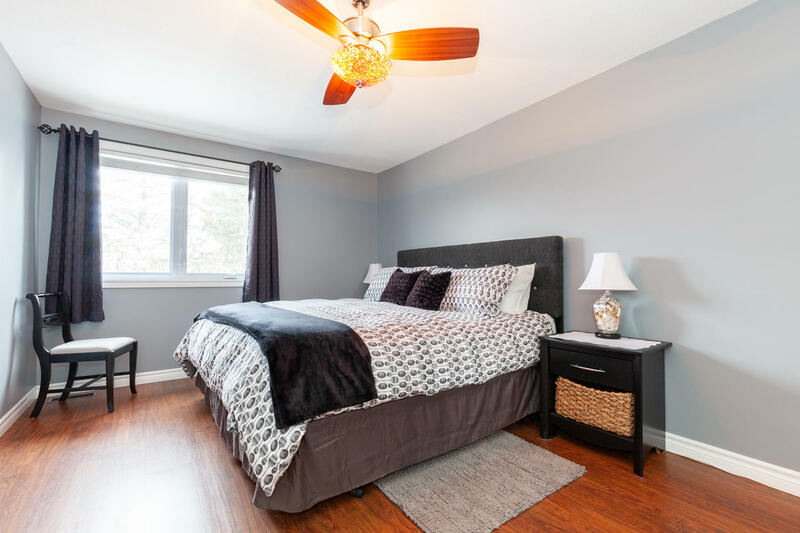 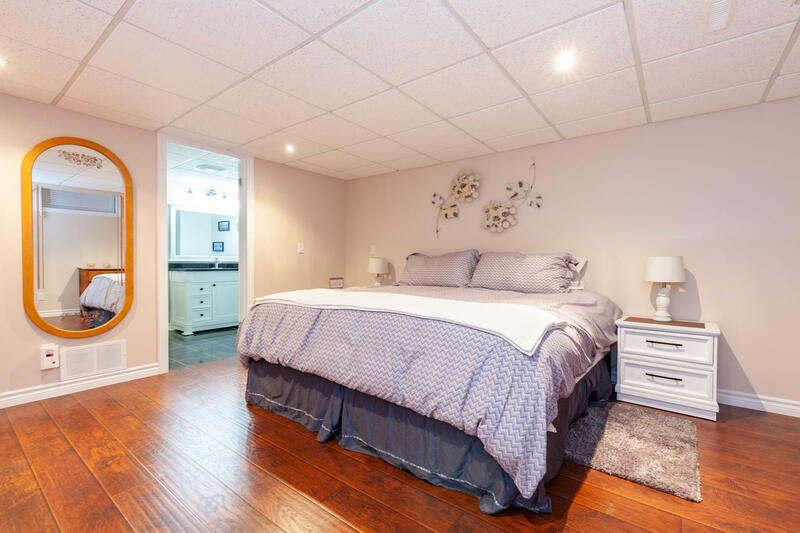 The master bedroom is spacious and features a walk-in closet with custom built-in organizers. 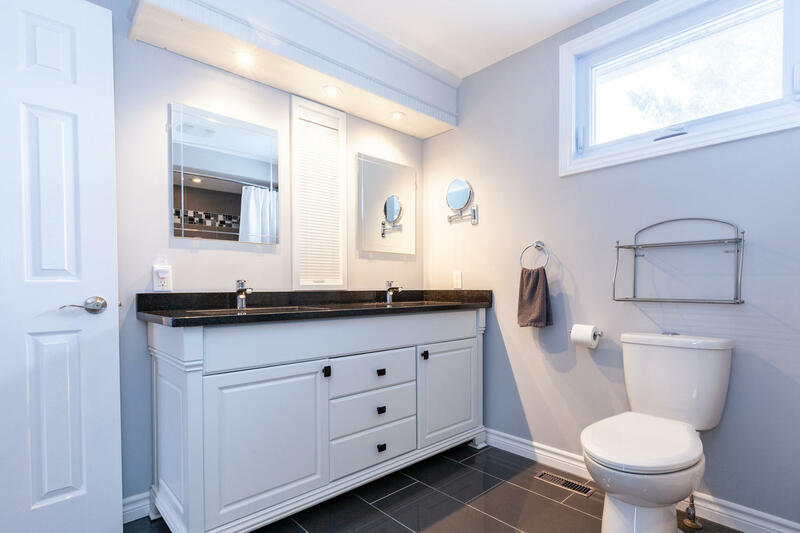 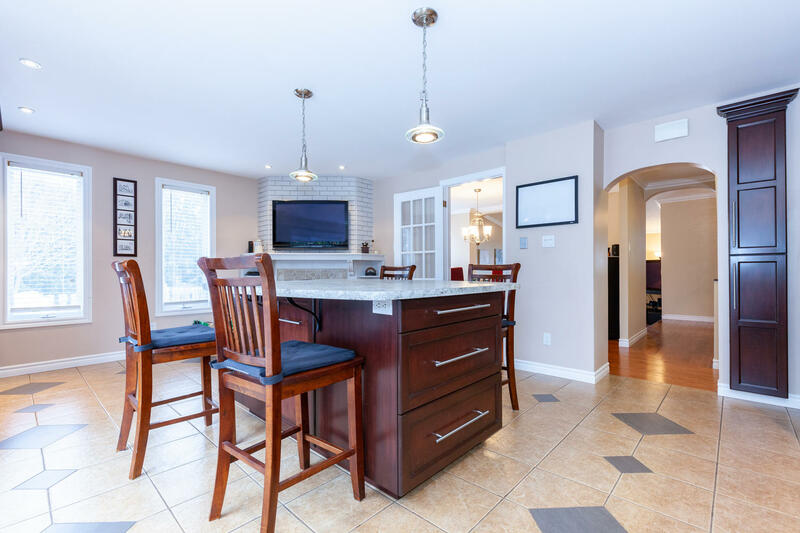 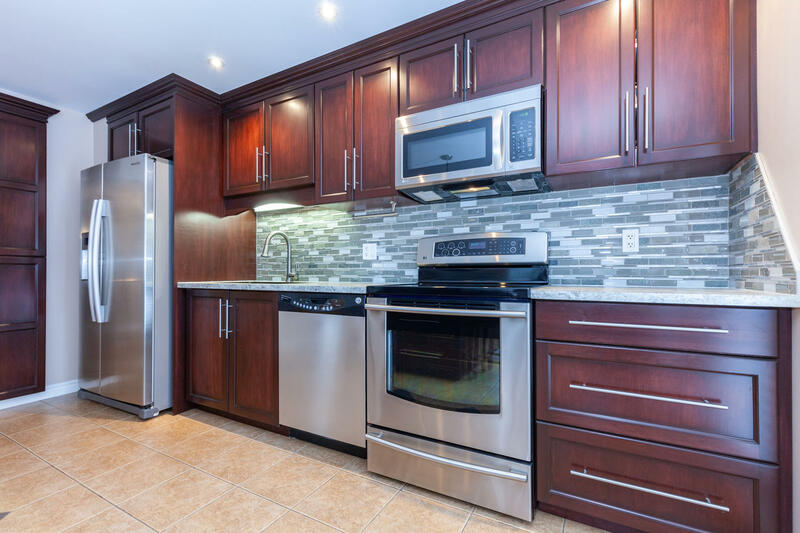 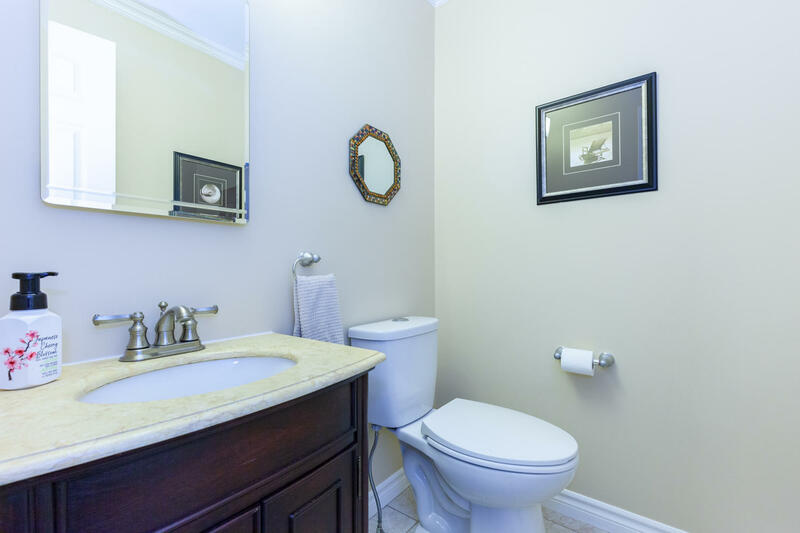 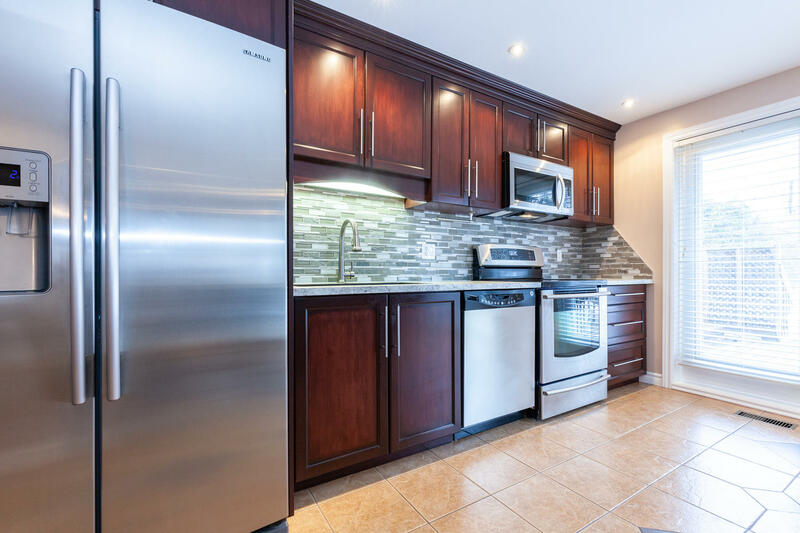 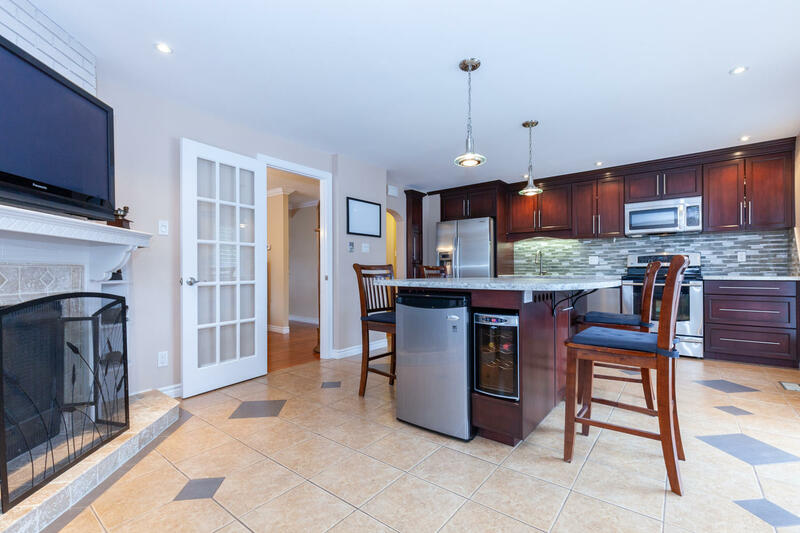 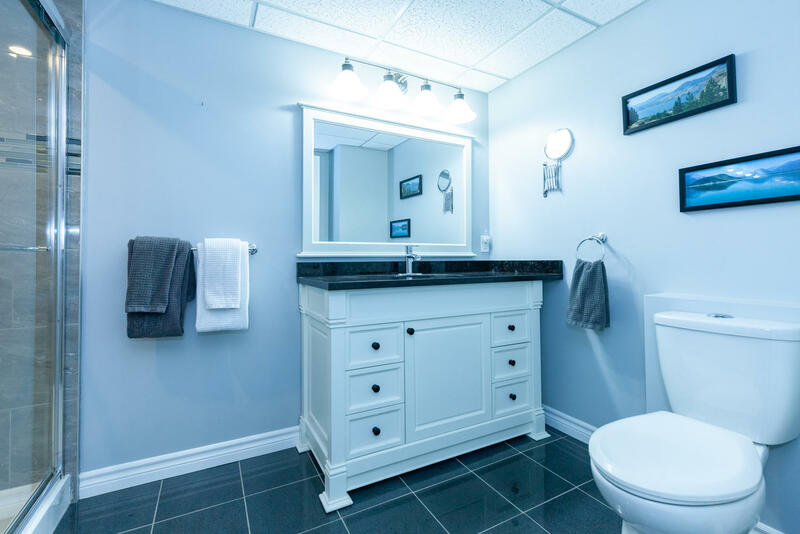 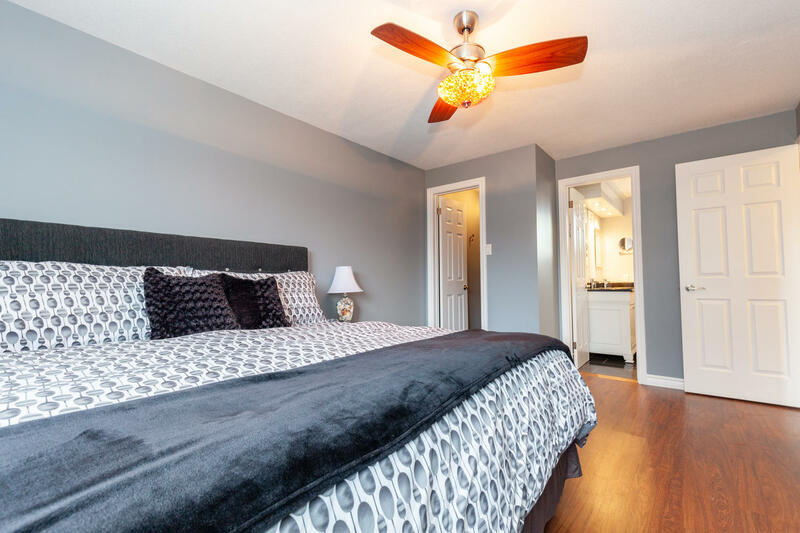 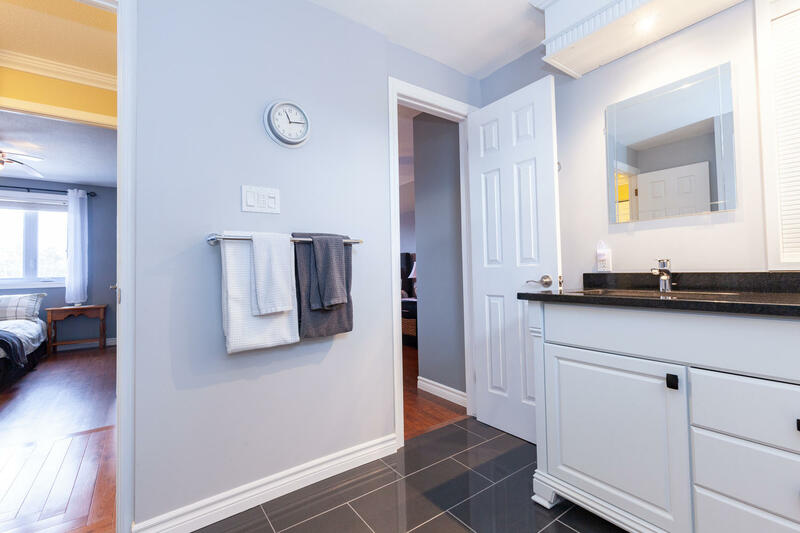 The main bathroom upstairs has been completely renovated and is modern in design and function with double sinks, natural stone counters and custom cabinetry. 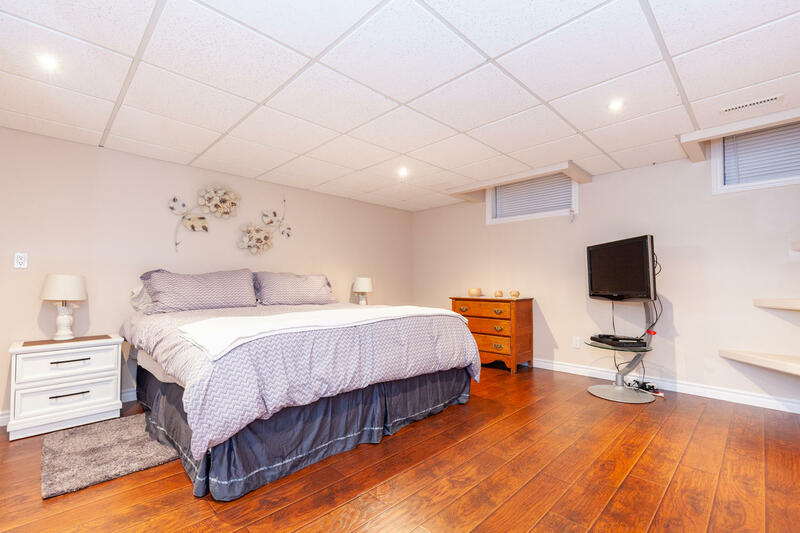 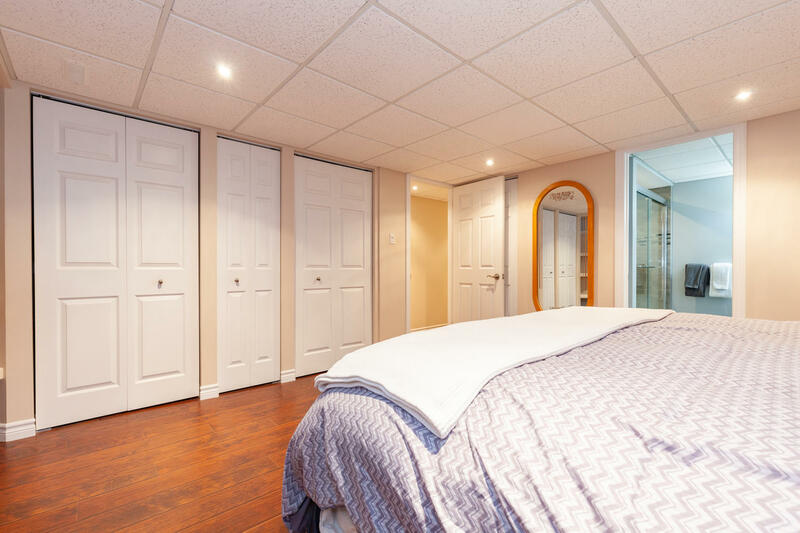 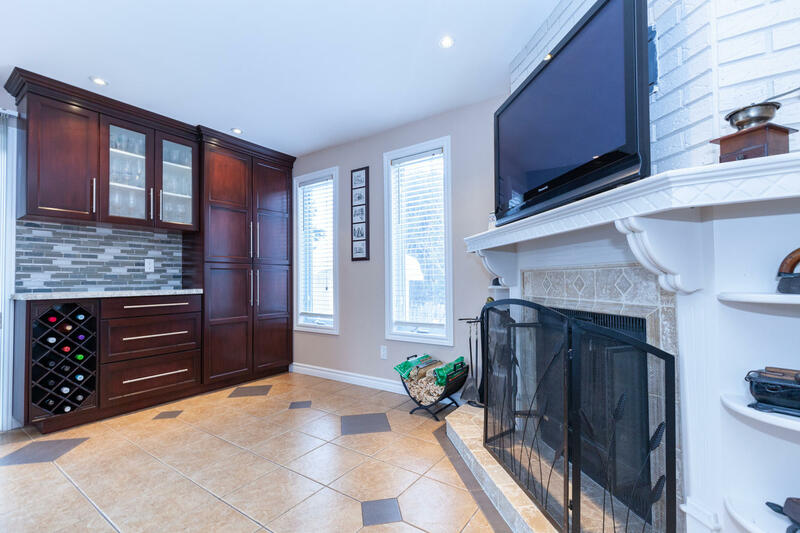 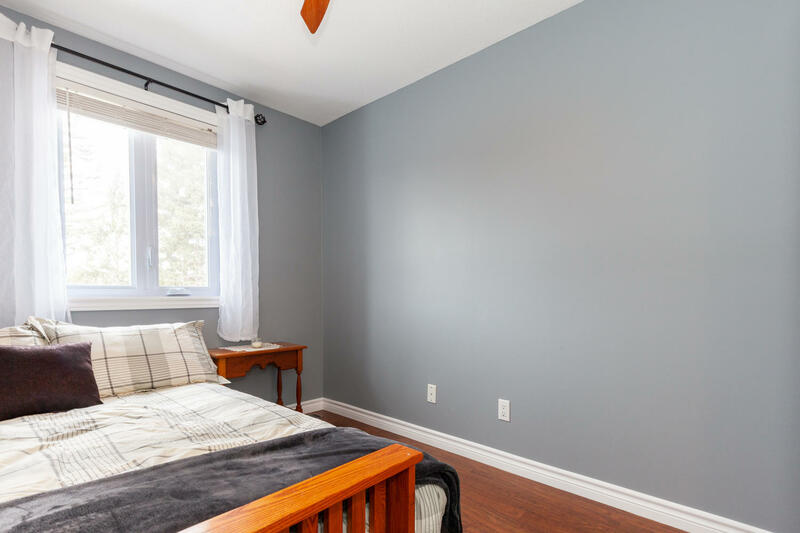 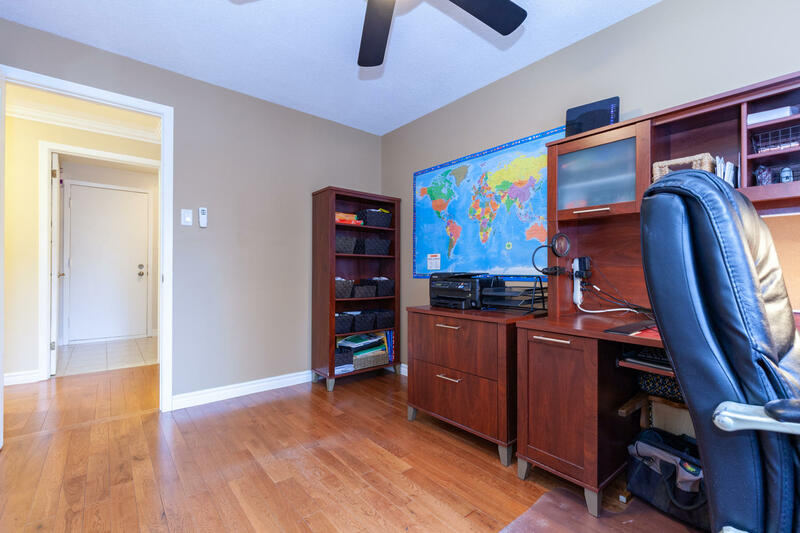 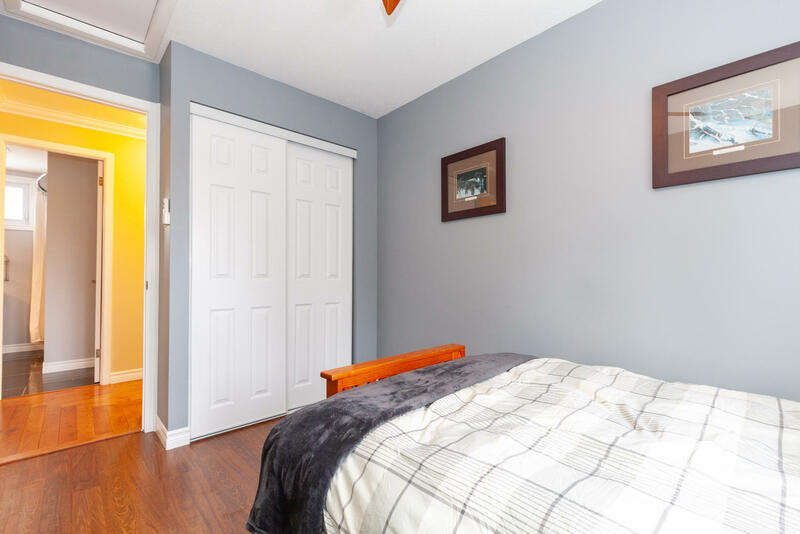 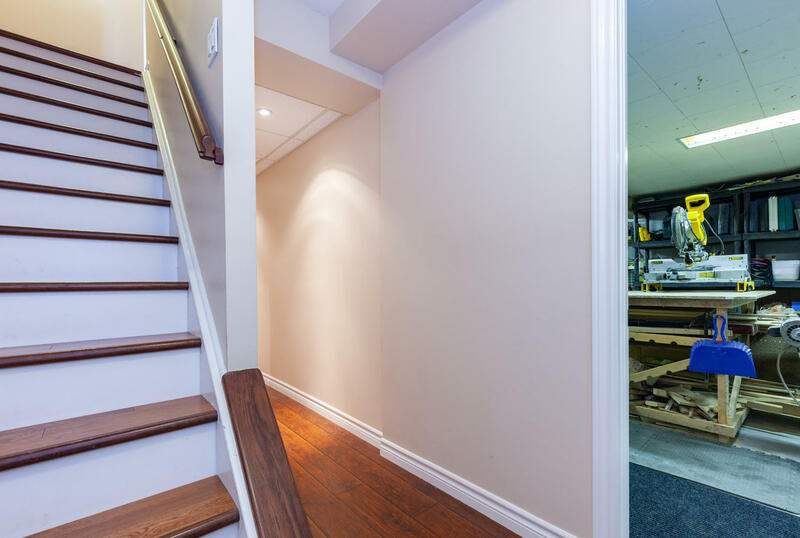 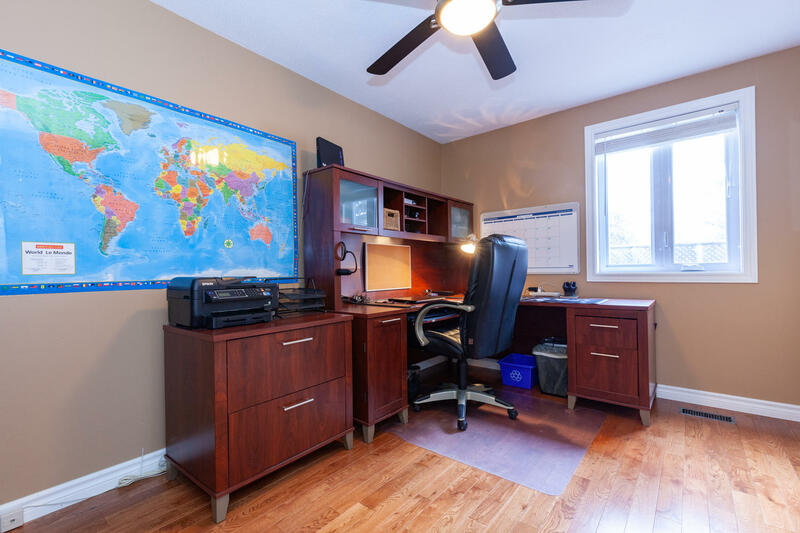 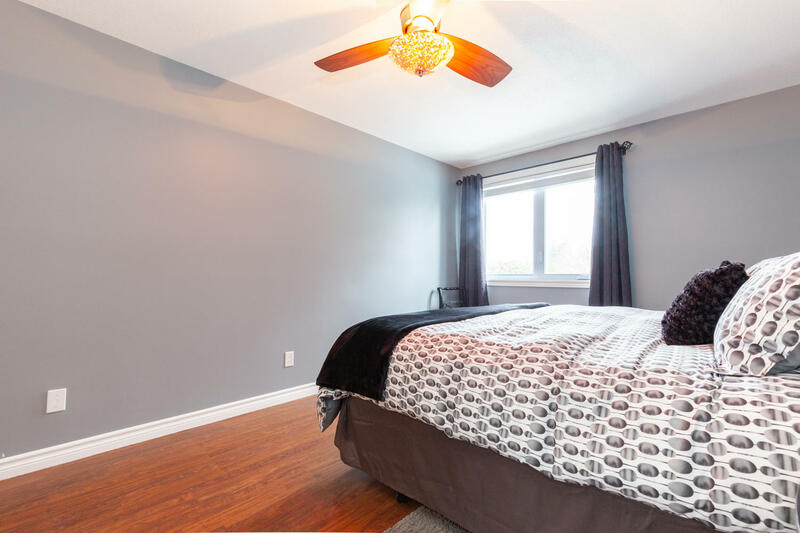 The finished basement features a large fourth bedroom that can easily also double as a fantastic recreation room space. 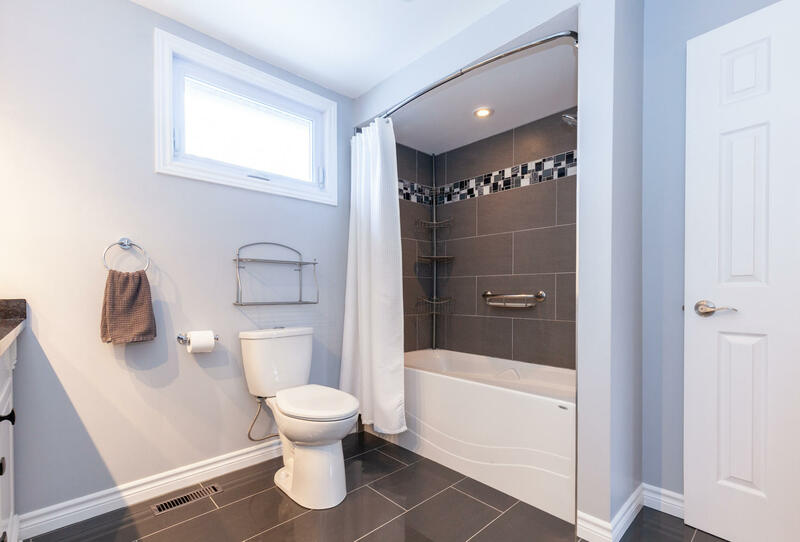 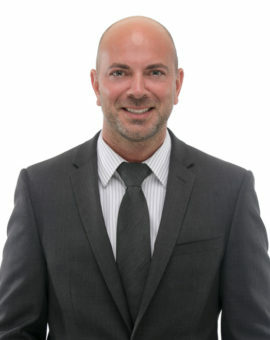 There is also a full, newly renovated bathroom with oversized glass shower. 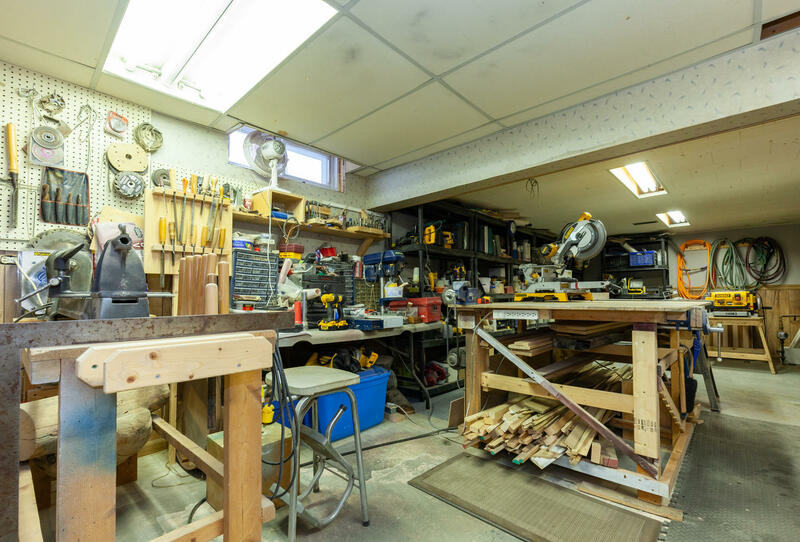 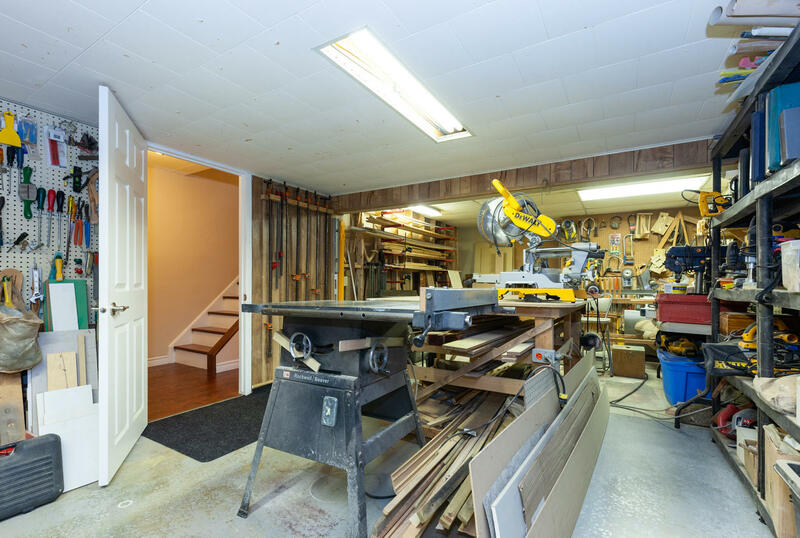 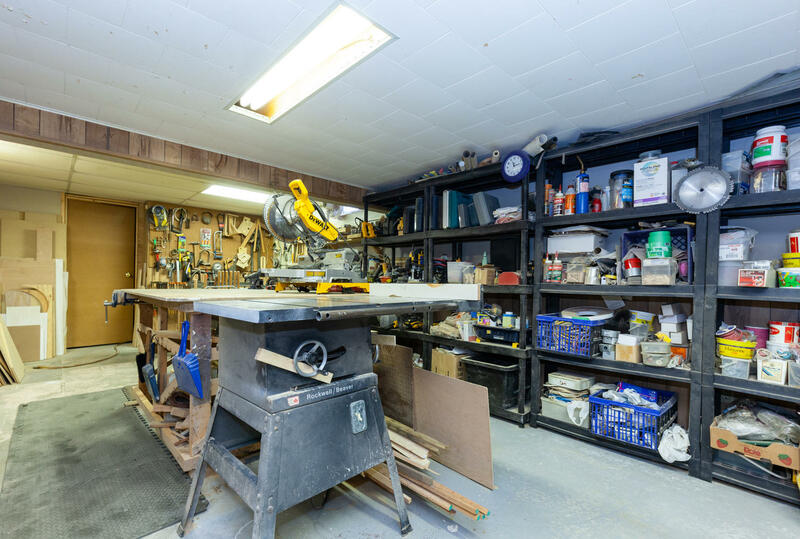 A huge workshop space with additional storage space completes this lower level. 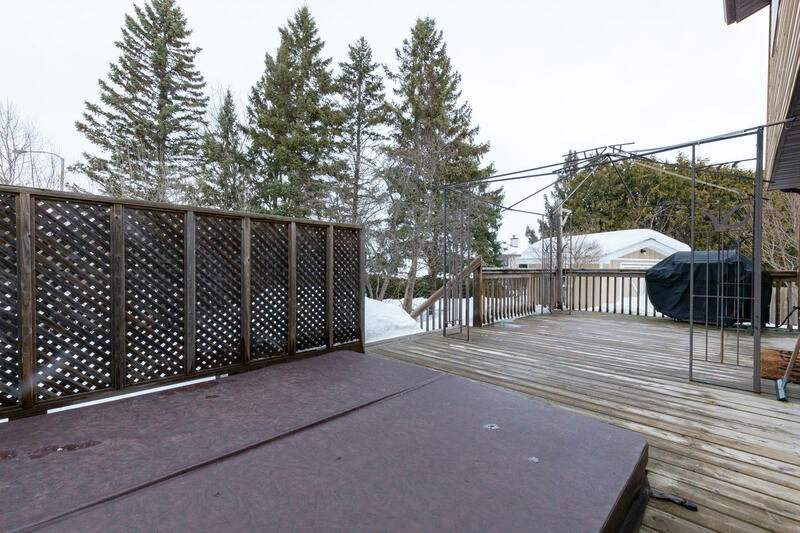 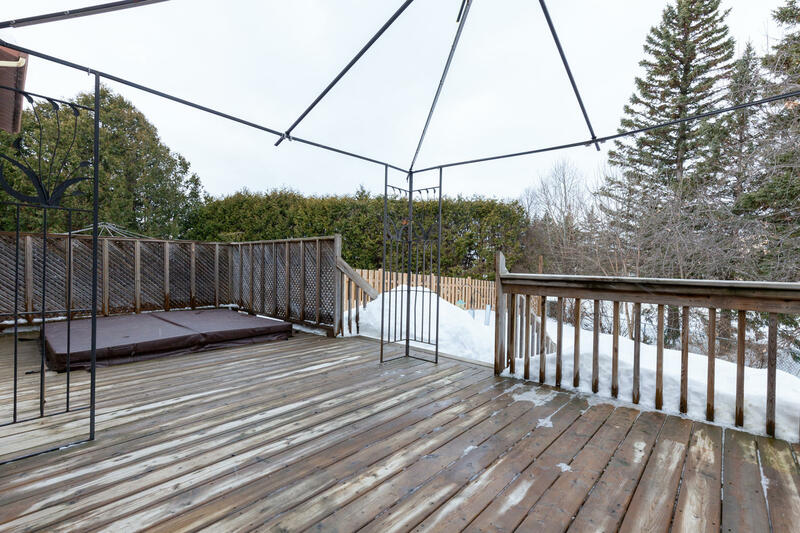 Enjoy time in the private yard while soaking in the hot tub on the deck. 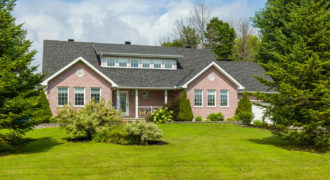 Nature enthusiasts can take walks or bike rides on the path behind the property.